Kate Moss will have to look for a new job – the instant media response after a Manchester Metropolitan University press release suggesting a new virtual direction in fashion. Runway models are replaced by digital replicas – “near-faultless copies” that need no sleep or expensive plane tickets. Academic research has never felt more like science fiction. Dr Andrew Brownridge with Dr Peter Twigg use a combination of 3D scanning and motion capture in developing the hybrid avatars that creates a human digital copy to be digitally dressed in virtual haute couture. From there you can either render a fashion show to video file with animated characters ready to distribute or have a live performance with models in motion capture outfits, working in real time. However the research project did not start out with a fashion focus but as an analysis tool for the movement of ballet dancers. How come ballet was the focus of your research Andrew? – The research began when we were approached by the Northern Ballet School enquiring about using motion capture equipment. Their interest was for use within augmented performance which had been touched upon by the Melbourne Dance Company previously. We suggested developing the technology further in order to provide a database of gestures for choreography purposes. Upon speaking to the dancers and researching the discipline it occurred that the motion capture technology we were using had the capability of recording very accurate measurement of movement which could be used for analytical purposes for corrective coaching and training. Would that focus have been possible outside an academic context? – No, I don’t believe so. It takes researchers who do not have the pressure of training and performance constantly present to look at methods and processes in a different way to see further possibilities of applying the technology. We also had equipment and appropriate expertise readily available to bring technology and physical performance together. How did the research move over to fashion? 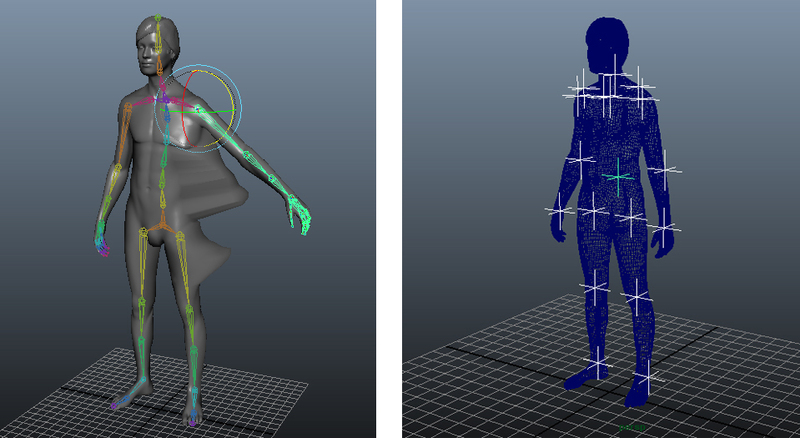 – Following discussions with researchers in the fashion department, it was pointed out that modelling is simply a different form of performance and the same technologies associated with movement analysis and physical representation in a virtual world could be applied similarly in the fashion industry. The fashion department had an excellent high specification body scanner which we were quick to employ and develop techniques for generation of life-like avatars. When research has a strong technological focus, what really drives the innovation in implementation? Do those ideas come from inside the team or from the outside? – Personally, coming from a creative background, I found it fascinating that the technologies we were using had such a wide range of application in various other fields. I had recently studied feedback methods and motor skill learning and saw the potential for utilising the motion capture technology to analyse a performance and provide detailed and accurate feedback to aid coaching methods. What really is your personal drive as a researcher. Do you feel stronger about “cracking the code” or does how it is being used equally interest you? – I think if you are involved with technological research, you cannot help but constantly try to be innovative and creative. I personally feel stronger about the application and how the technology can be used, and the ‘cracking the code’ is more of a means to take the technology and implement the idea. The fashion avatar reminds you that physical reality and virtual worlds are merging at a fast pace. On a philosophical level, what impact do you think that has on how we look at ourselves? Will we stop looking at things as “real” or “digital”? – My personal view is “Yes!”. 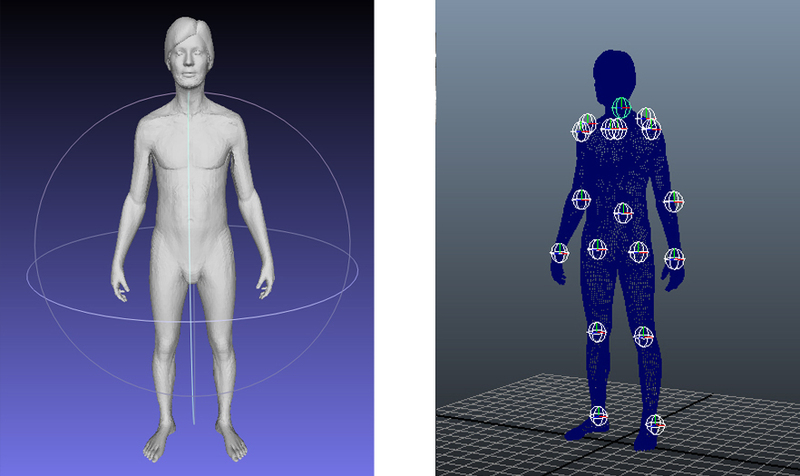 Initially as the visual appearance of virtual characters becomes increasingly life-like, both from an image and a movement point of view, correspondingly the levels of artificial intelligence that can be used to drive and control such avatar will rapidly develop to the point where it would not be possible to distinguish between real and digital. For example, Windows ‘Cortana’ virtual assistant is very much in its infancy, but imagine a character like this being super imposed on an avatar in a decades time. The possibilities are endless.